Jodie specialises in workplace investigations, dispute resolution and workplace relations. She has a wealth of experience gained working with small to large clients from a diverse range of industries, including as an employment lawyer and workplace relations advisor. Jodie Fox has a wealth of workplace relations experience, having worked with government departments and agencies, retail businesses, energy companies, employer associations, manufacturers and mines. Jodie keenly understands the need to resolve workplace issues by taking into account strategic, contextual and policy factors. This comes from her in-house workplace relations experience in advising on unfair dismissals, executive employment, equal opportunity, enterprise agreements and employment policy. the Minister for Workplace Relations intervening in cases of significance and developing employment policies for the Australian Public Service. She has negotiated and implemented enterprise agreements, as well as conducting investigations into employee misconduct, managing probationary employees and redundancies. Jodie is skilled at running investigations into employee misconduct, disciplinary review panels and appeal panels under the provisions of an enterprise agreement. She takes a nuanced approach to dealing with sensitive workplace investigations and her reports are clear and useful. Jodie gives strategic, practical advice that focuses on what is best for the client’s business. She has reviewed and written employment policies that are tailored to small and large businesses. She has worked with several clients to plan, implement and manage transformative change to workplace structure. 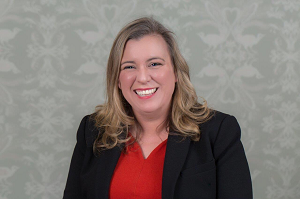 An experienced industrial relations strategist, Jodie has assisted several clients in planning negotiation strategy, drafting enterprise agreements, negotiating with unions and employee representatives and supporting clients through the voting and approval process.